Geum montanum - Carinthia (Austria). 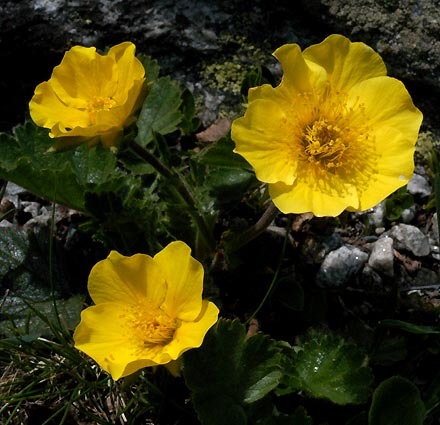 This large flowering plant is widely distributed in the mountains of central and southern Europe. It grows in rocky places and grassland.